Arsenal have been busy strengthening their squad this summer ahead of Unai Emery’s first season in charge, but signing Steven N’Zonzi is reportedly proving to be problematic. The Gunners have already officially announced the signings of Stephan Lichtsteiner, Bernd Leno, Sokratis Papastathopoulos, Lucas Torreira and Matteo Guendouzi as they look to start moving in the right direction after the Arsene Wenger era at the club. 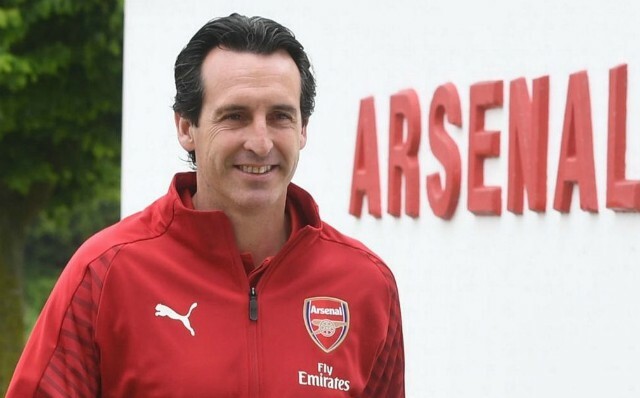 Having missed out on Champions League football in the last two campaigns, Emery will be hoping to end that run of disappointment and with the additions noted above, he has certainly addressed a key weakness. Arsenal conceded 51 goals in 38 Premier League games last season, the worst defensive record of the top seven sides, and so adding defensive solidity and physicality in midfield was crucial this summer. According to France Football, the Gunners aren’t finished there as it’s claimed that they want Steven N’Zonzi from Sevilla, but aren’t willing to splash out €40m on the French international, as per his release clause, and want to lower that fee. Given he turns 30 in December, that would seem like a wise decision, despite the fact that the World Cup winner could make an immediate impact given his experience at the highest level while he’s also previously plied his trade in the Premier League. In turn, it remains to be seen whether or not Arsenal are able to successfully negotiate down his asking price with Sevilla, although given his importance to the La Liga outfit, it wouldn’t seem to make too much sense on their part to accept less. Nevertheless, it could be another important piece for Arsenal to add to transform them into a more solid outfit, as Emery has plenty of attacking quality already with the likes of Pierre-Emerick Aubameyang and Mesut Ozil in the final third.